I thought it would be a smart idea to whip out the laptop and crack on with what could be one of my favorite journal entries yet. Most folks think flannel is just another word for a chequered shirt, or in other words a lumberjack looking bit cloth. Flannel is a versatile fabric with a history that stretches back hundreds of years. Before the likes of Beckham, McQueen, and Cobain, flannel shirts were built for a purpose. Workers who found themselves facing the elements on a regular basis looked to the flannel shirt as a go-to layer. 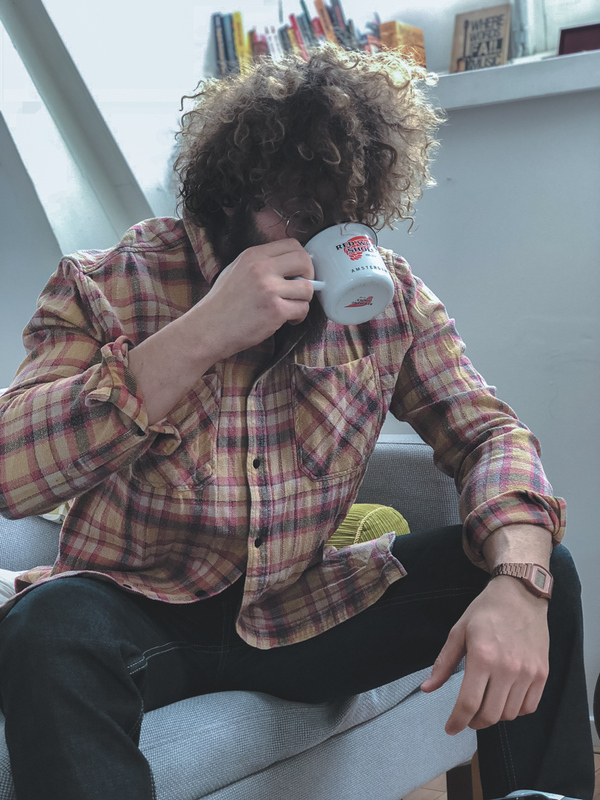 Believe it or not, The flannel shirt was created by the Welsh, most people think the Scottish originally conjoured up the fine material due to their iconic use of tartan. Anyhow, during the 19th-century mechanical wool factories were booming all over Europe. Fast forward to the late 1880's over in the US, the legend himself Hamilton Carhartt saw a gap in the market. To cut a long story short, he opened a factory in Detroit, MI and started manufacturing hardwearing-rugged flannel garments. Carhartt being one of my favored brands, all I can say is...why thank you Mr. Hamilton Carhartt. Steeze is what some would say, or style with ease, depending on your preference. There is no question about it, owning a good collection of flannels in a variety of colors can gear you up for most situations. I'm a sucker for utilising the thicker flannels as overshirts in the slightly colder months, they always make for a good addition when throwing on some layers. During the warmer months, a thinner yet lighter colored flannel shirt will do the trick. Originally made from wool or worsted yarn, but now most are constructed from either wool, cotton or synthetic fibers. The hardwearing fabric tends to be my go-to choice when needing to up my casual game...unless I really have to dress up for an occasion. There is something about the way a flannel shirt looks and feels. For me, it ticks all the boxes. Sturdy - If made from the right materials, a flannel can last decades. Functional - Worn whenever wherever and looks mighty good with most denim, chinos, and shorts. Pattern - usually a flannel comes in the chequered pattern, although I have come across a few in solid colors. Comfy - Soft when new, and still soft when old. As long, as you look after your flannel shirts it's cozy vibes all round. @pikebrotherscompany - Based on an American work shirt from the late 30s. Like the original, they offers the wearer a high level of comfort, style and functionality. Just like any other quality made product, Pike has produced hard wearing flannels that can be work all year round. @Woolrich x @Huckberry - A timeless classic blended with modern-day technology. 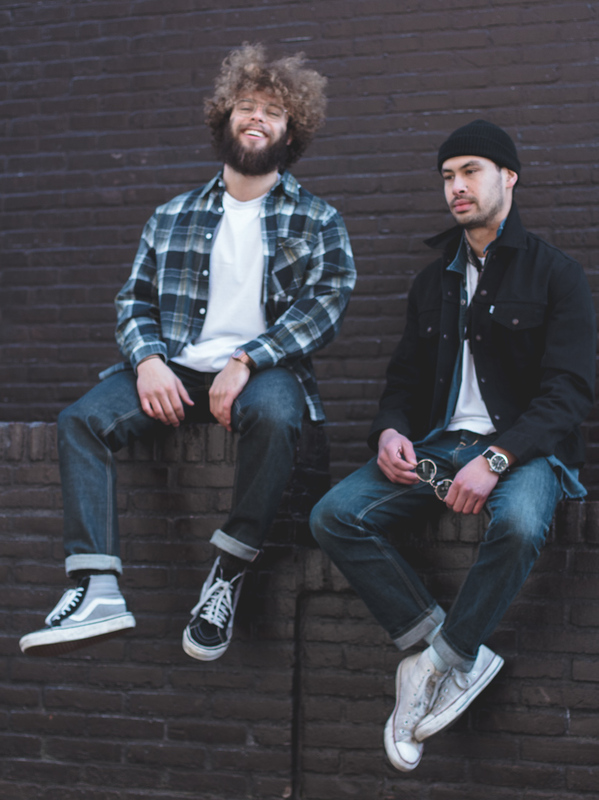 Originally made for loggers, miners, rivermen, and hunters, the two brands have come together to create what I would call an effortless bit of style. The Wool Overshirt got me from the get-go, it seems to be one of those products that can be work during a woodland excursion or whilst exploring a city during the winter. I can imagine combining the shirt with a solid backpack, something like an Atelier de l'Armée or a vintage Swiss Army style bag. It's pretty simple, flannels shirts are the dynamic wonder product every gent should be stocked up on. Easily worn as an overshirt when styling a multi-layer look. The t-shirt n flannel combo in my staple look, to mix things up I sometimes wear a cable knit sweater over my t-shirt and under the shirt. (keep it cozy n stylish with a decent winter workwear jacket too) as I always say, whatever feels most comfortable and looks best. Style and comfit wins the day for me.